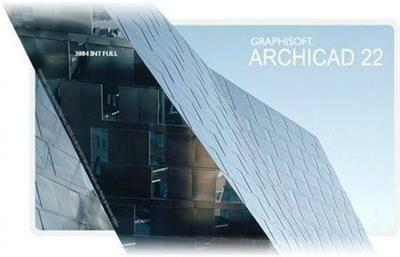 ARCHICAD 22 delivers design tool improvements and introduces enhanced design workflow processes. These represent significant performance improvements and productivity enhancements to its core design processes as well as to multidisciplinary collaborative workflows. ARCHICAD's remastered Façade Design workflow enables architects to design, develop and detail hierarchical curtain wall systems with great freedom using modular patterns. The design happens with a natural graphical input in the most natural design environment in 3D or 2D elevations, while ARCHICAD ensures the curtain wall system is structurally correct and adheres to local requirements for documenting and listing. ARCHICAD 22 introduces significant performance improvements, focusing on a smooth and truly responsive 2D panning and zooming navigation experience for projects of any size. ARCHICAD 22's Parametric Custom Profiles combines the power of parametric design with the freedom of graphical profile creation. ARCHICAD 22 allows you to use logical expressions to derive new properties and property values that depend on the element's own parameters. This new function greatly enriches the information - or "I" component - of BIM. Its automatic workflow lets you define any calculation rule as an element property value and update it automatically, without time-consuming and error-prone manual data entry. ARCHICAD 22 brings several productivity improvements, providing easier and more intuitive building design, faster and more precise construction documentation, more accurate schedules and cost estimation. Page generated in 0.1878 seconds with 22 queries.